A couple weeks ago Jess came home from the farmers market with some raspberries I had never seen before. 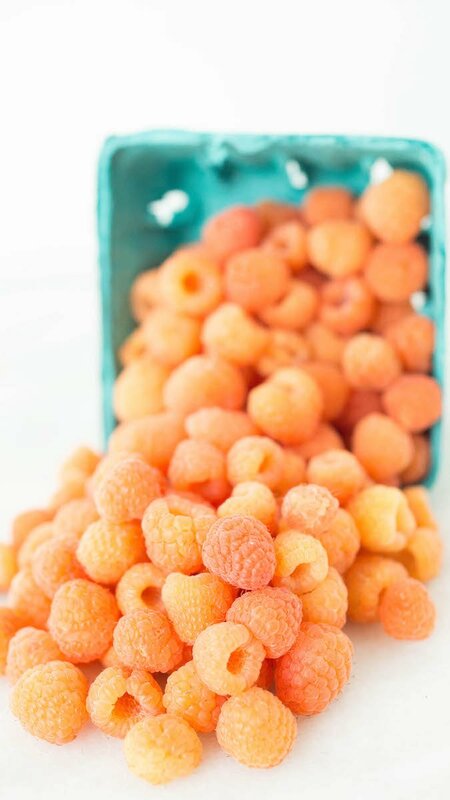 I’ve eaten plenty of your standard red raspberries and have tried golden raspberries once or twice, but the raspberries she brought home that day seemed like a red raspberry and a golden raspberry had babies and created this pink raspberry! I asked her what they were called and she said “Pink Lemonade Raspberries”. (Though there is a question as to whether or not Jess made this name up herself, but either way, it gave me a great idea for a new cocktail). Lemonade is great as it is, but let’s be honest, add pink to anything and it makes it better. The pink lemonade raspberry is more mellow then the regular red raspberry when it comes to sweetness. It’s also smooth with just a hint of tart that hits you at the end, so making it into a simple syrup seemed like a great way to bring down the tartness of the lemons to something a little more drinkable. To make this a tasty, fresh, alcoholic beverage, I figured vodka would be a good option. 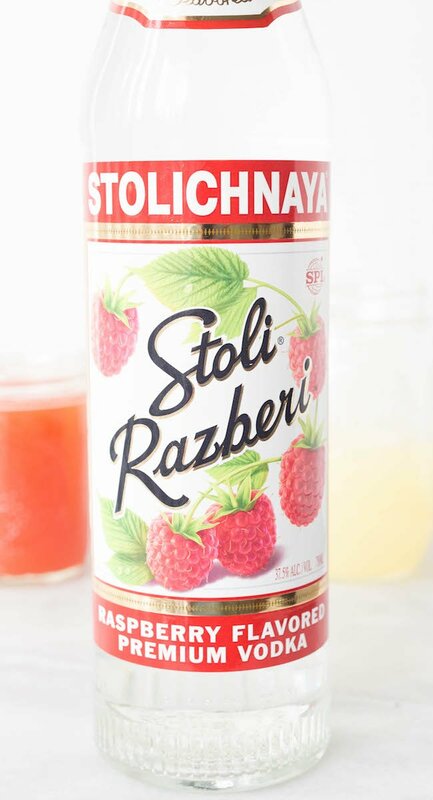 Stoli has some delicious raspberry vodka that I knew would give this drink the kick it needed. There’s something about squeezing your own lemons into lemon juice. Mind you my hands got pretty tired and it seems like you don’t get that much juice from the amount of lemons your squeezing, but it’s comforting to know just how fresh the juice is. Making your own flavored simple syrup is so easy, I’m probably going to have to start experimenting with some other fruits. 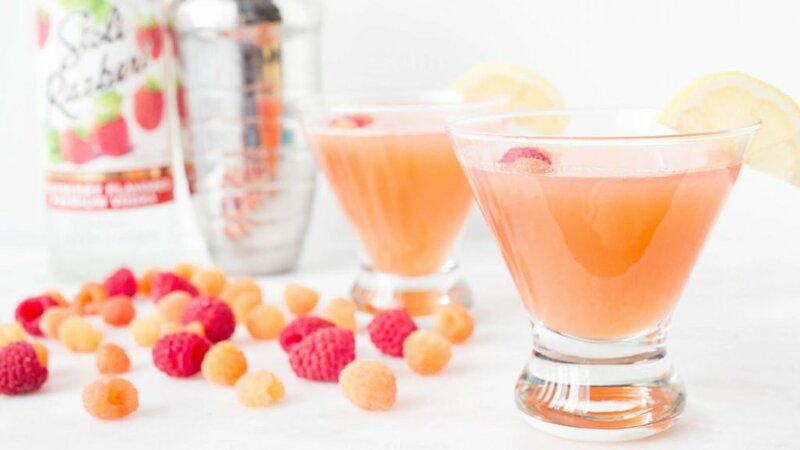 Mixing everything together and adding the vodka creates a very fresh and satisfying drink that would help anyone cool off on a hot summer day. Cook raspberries and sugar together in a saucepan over medium heat for about 10 min or until raspberries are soft and a juice/syrup has formed. Strain mixture to get rid of seeds and pulp. Let cool for 20 min. or until room temperature. Place lemon juice, simple syrup, vodka, and ice into a shaker (You may have to create cocktail in two batches depending on how big your shaker is). Shake well and serve in cocktail glass by itself or over ice. 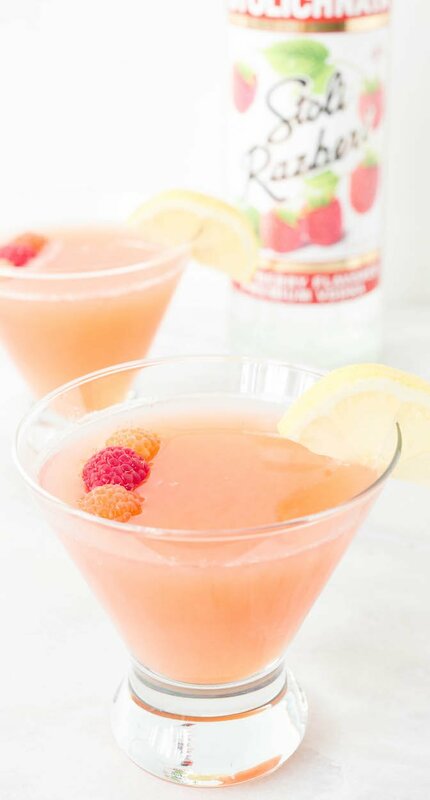 Garnish with leftover raspberries and a lemon slice to kick it up a notch.